KR-Sport are pleased to announce and confirm the launch of their engine programme for 2019. KR-Sport have been at the forefront of their engine development for a number of years helpin g to guide them to Major championship victories during 2018. The decision was taken to bring the build and development of their team engines in-house, and to offer out the years of experience to their customers, teams and partners. Since the install of their state of the art Dyno facility, valuable information and understanding has been gained. Detailed testing regimes means that quality and high performance is available to all our customers. Our engine and Dyno facilities are available to individuals and teams looking to understand and get the best from their equipment. 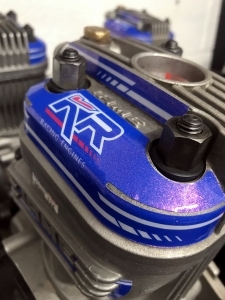 To discuss how KR-Sport Racing engines can help and support you please get in touch to discuss further.